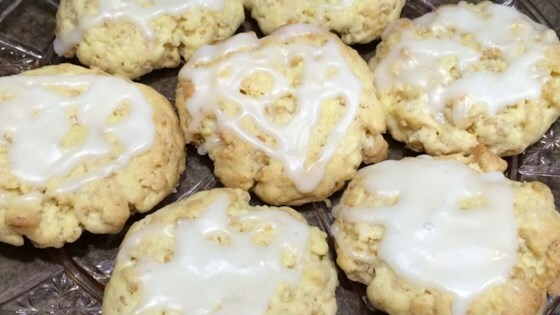 "Easy cake mix lemon cookies." Melt butter or margarine over low heat. Stir together all ingredients, including butter or margarine, and mix well. Shape dough into 1-inch balls and place them about 2 inches apart on ungreased cookie sheets. Press flat with thumb. Bake for 9 minutes or until edges are golden. Cool on cookie sheets one minute. Remove to wire racks to cool. The taste is great! I'm not crazy about the texture with the krispies, but everyone at the party loved them!